Here’s one that required me to add a new category: the 1980’s. 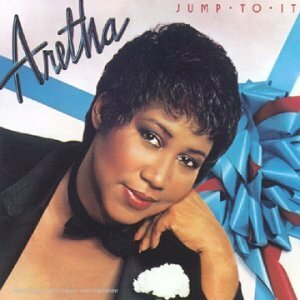 This Aretha cut was produced by Luther Vandross, who I didn’t even know was in the game back then. This is silky stuff straight up, the beat is a bouncy little piece of boogie heaven. I’ll be honest, my shoulders are moving up and down right now one at a time, it’s crazy. Also, this doesn’t sound like the Aretha from her RESPECT era, not at all. Her voice has always had a nice loose quality to it, but here she is silky smooth. Did she record this in bed?!? From Jump to It, released through Arista Records, 1982.